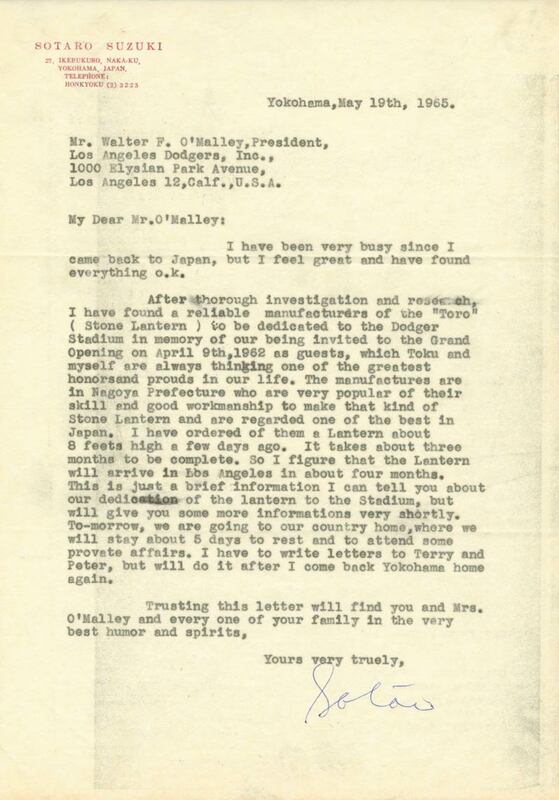 When famous sportswriter Sotaro Suzuki and his wife, Toku, were invited by Los Angeles Dodgers owner Walter O’Malley to attend the Grand Opening of Dodger Stadium on April 9, 1962 (one day before the official Opening Day), he wanted to express his appreciation with a special gift. 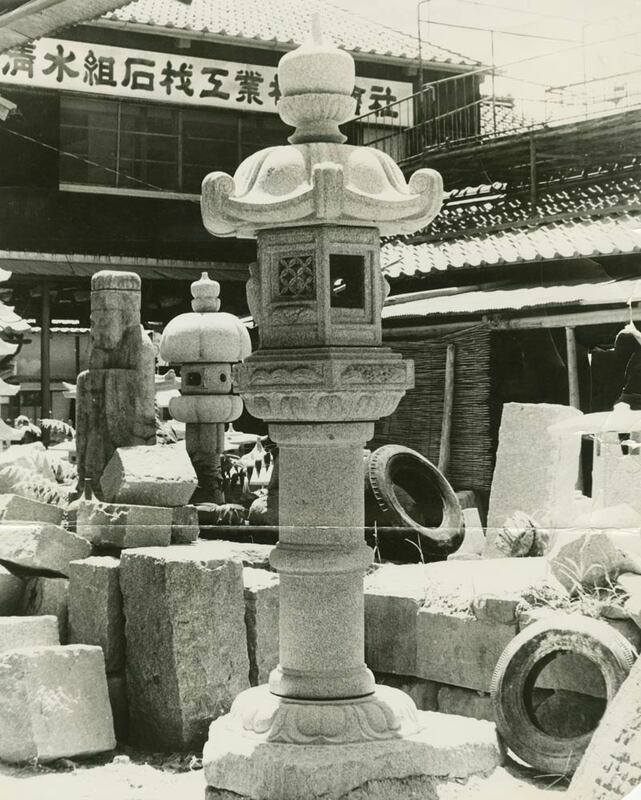 The 10-foot tall, 3,921-pound stone lantern built by the Shimizugumi Stone Works Company before being shipped to the Dodgers in the winter of 1965. Upon returning to Japan, Suzuki saw a photograph of a stone lantern at a friend’s home and decided that would be the perfect gift to send to O’Malley. In 1965, Suzuki contacted the famous stone-carving business in Aichi prefecture, Shimizugumi Stone Works Company to build the stone lantern, which was sculpted in Okazaki City, near Nagoya. The eight-foot tall, 3,921-pound “Kasuga” stone lantern was shipped to Los Angeles in six sections in the winter of 1965. 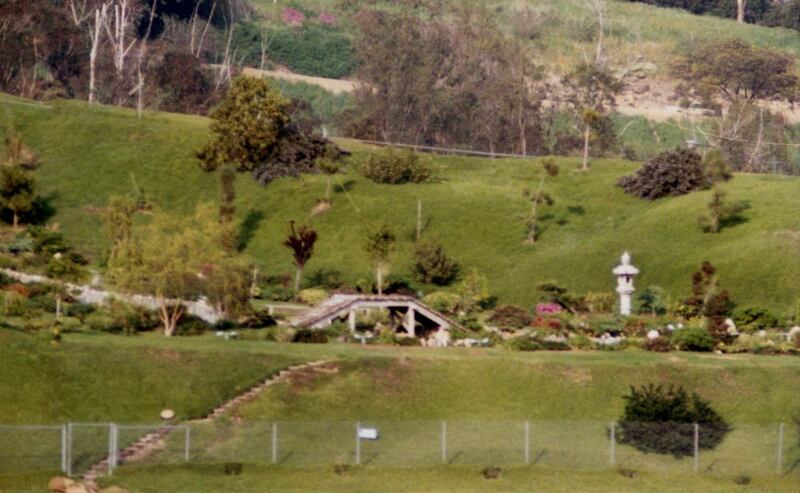 O’Malley had the impressive piece placed on the hill adjacent to parking lot 37 at Dodger Stadium and it became the centerpiece for a traditional Japanese garden that was designed and maintained by head landscaper Mitch Inamura. The garden, at that time, contained two cherry blossom trees, river-rock paths and pine trees cut Japanese-style. It would fulfill Suzuki’s desire to provide a tranquil setting for all Dodger fans. The lantern was the centerpiece for a traditional Japanese garden that was designed and maintained by Mitch Inamura and contained two cherry blossom trees, river-rock paths and pine trees cut Japanese-style. 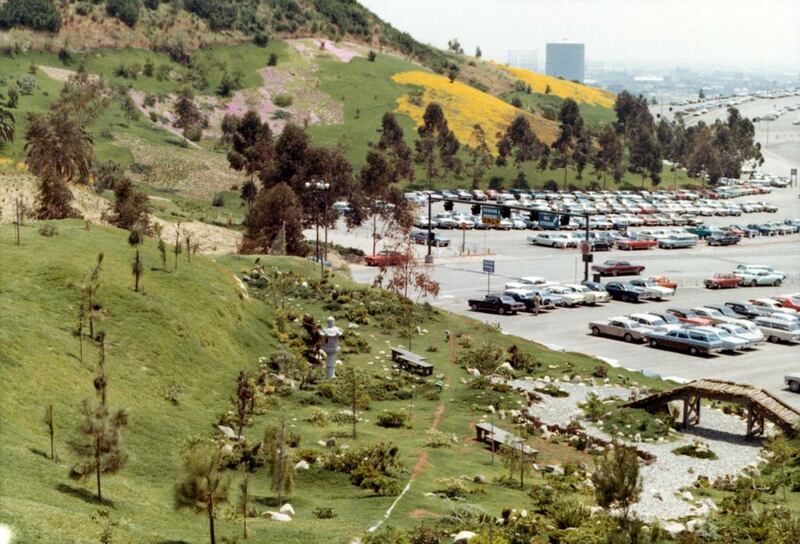 When Dodger Stadium opened, Inamura was hired by O'Malley to design, install and maintain not only the traditional Japanese garden but other landscaping projects on the grounds. The lantern was placed on a hill adjacent to Parking Lot 37. The inscription on the back of the lantern base reads, "To commemorate the opening of Dodger Stadium on April 9, 1962. Donated by Sotaro and Toku Suzuki, Guests." 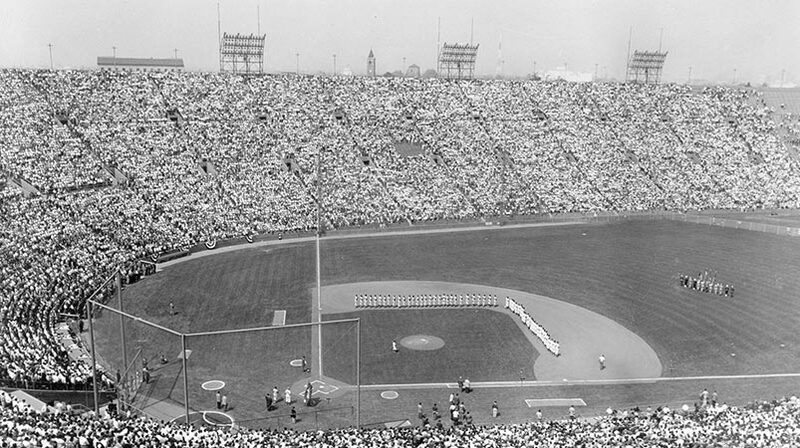 The Dodgers held an opening ceremony for the public on April 9 and played the first game against the Cincinnati Reds the following afternoon. Suzuki was the confidante and special advisor to Matsutaro Shoriki, the founder of Yomiuri and the “father” of professional baseball in Japan. Suzuki was inducted into the Japan Baseball Hall of Fame in 1968, as a sportswriter and longtime goodwill liaison between Japan and American baseball. In the winter of 1955-56, Suzuki traveled to New York to meet with O’Malley to invite the Dodgers to visit Japan following the 1956 season and postseason. Suzuki coordinated with O’Malley the Dodgers’ 1956 Goodwill Tour to Japan, which consisted of 19 games, for the sponsoring Yomiuri Shimbun. Suzuki was also involved with the 1966 Dodgers’ Goodwill Tour to Japan. Throughout the 1990’s, local resident Frank Ego made regular weekend visits to the Japanese garden to care for it and help maintain its beauty and importance.